I absolutely loved all 4 years I spent at Mary Washington. I was looking for a quality education where the professors cared about my success and that's what I got during my time here. While it's true that Mary Wash is by no means a "party school" there is plenty to do if you make even the slightest attempt to just go out and do something. Get involved with clubs and activities, go to a bar downtown, drive to Central Park and see a movie… really it's not that hard if you make any sort of effort. I enjoyed the time I spent both off and on campus. I lived in the dorms my first 2 years and the UMW apartments the last 2. I really loved my apartment and I suggest making friends with upperclassmen while your still a freshman or sophomore so that you can get into one your junior year without a problem. 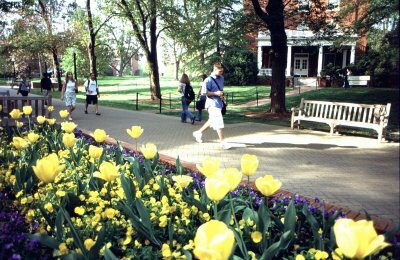 It pretty much goes without saying that the campus is gorgeous, I think that's the one thing that EVERYONE who's gone to UMW would agree on! Mary Wash may not be for everyone, but I definitely found my time there to be very satisfying.